If you are still looking for ideas for Mother's Day gifts, here is one that will make a very nice present for your mom. The modular ornament consists of three different pieces: a stellated octahedron, which is inside a cubic frame, which is on top of a Columbus cube. 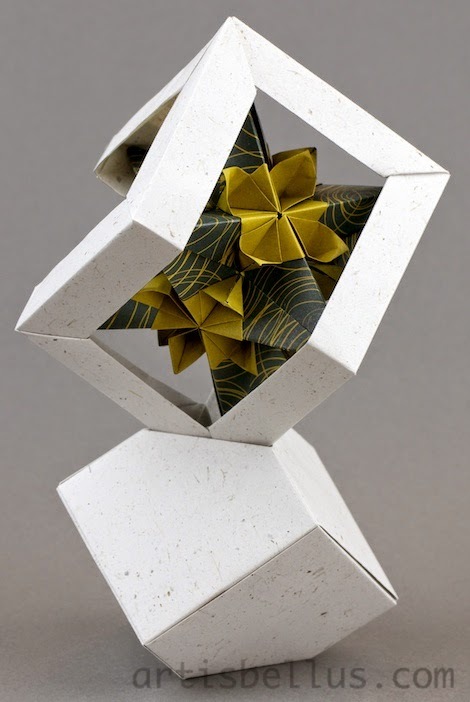 Stellated octahedron, designed by Tomoko Fuse. 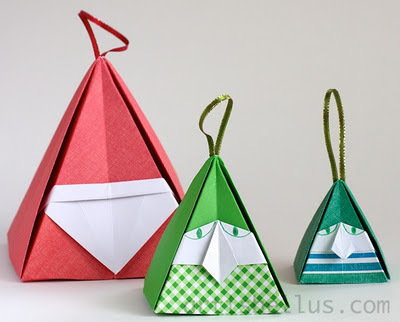 The instructions can be found in her book Unit Origami Fantasy . It is folded with twelve 3" x 6" (75 mm x 150 mm) rectangles of duo origami paper. Cubic frame, designed by Tomoko Fuse. 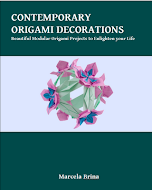 The instructions can be found in her book, Unit Origami Wonderland, ISBN 9784817081650. It is folded with nine 3" x 7¾" (75 mm x 194 mm) rectangles of New Leaf Premium Banana Fiber Paper . Culumbus cube, designed by David Mitchell. The instructions can be found in his book Mathematical Origami . It is folded with six 6" (150 mm) squares of New Leaf Premium Banana Fiber Paper .